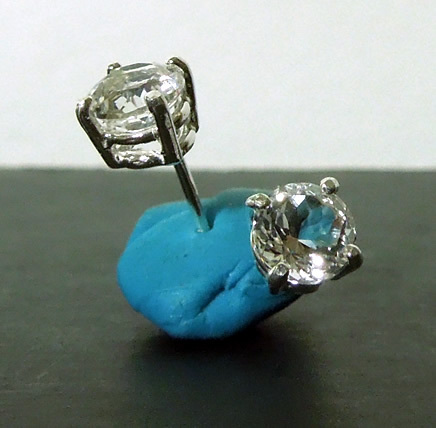 Notes: A pair of brilliant round star cut Herkimer crystal earrings. The crystals measure 6x6 mm and weigh 1.75 ct. total. All faceted Herkimer crystals are AA grade and water clear. 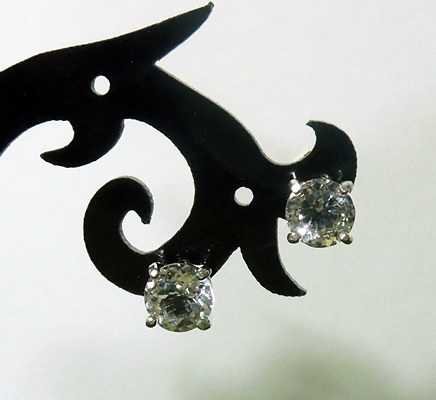 A set of Herkimer Diamond earrings are a must have for women who travel. They are an accessory that will take you seamlessly from daytime meetings to night time cocktails. Of course, a necklace would be the perfect addition! 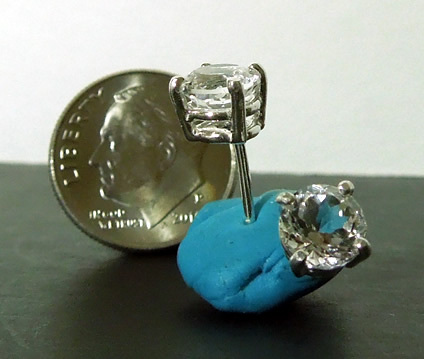 All stud earrings come with clutches not shown in the pictures. 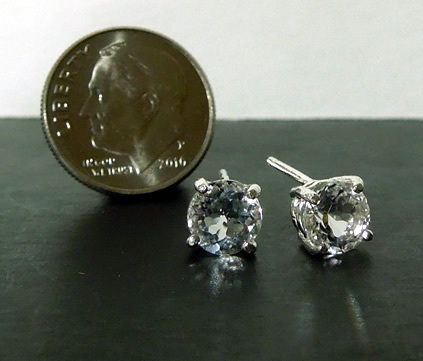 Brilliant round crystal clear Herkimer Diamond earrings.